Sea Serpents incite fear and awe in fishermen and sailors, figuring often in folklore as wrathful deities of the sea. 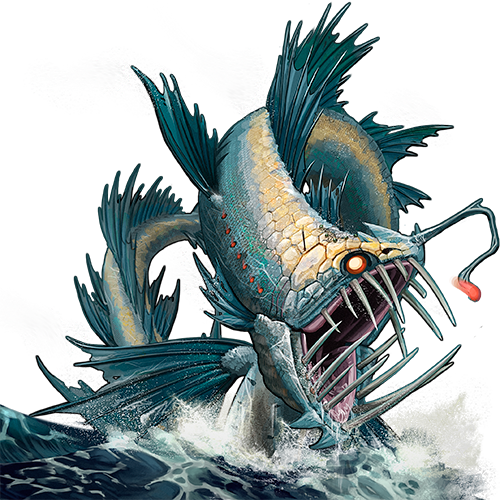 Capable of destroying ships effortlessly, and possessed of seemingly endless strength and vitality, these elusive leviathans are destructive and relentless to any who try to combat them. Generally living in the deep seas, Sea Serpents are imposing even to the elite merfolk warriors, and are the reason they seldom inhabit waters far from the shore. Last updated on Sat Apr 20 00:44:38 2019.